How to reach our lounge - prioritylounge-fras Webseite! We are located in the transit area of Terminal 2, level 3. When you are coming from the land side, kindly pass the passport control. 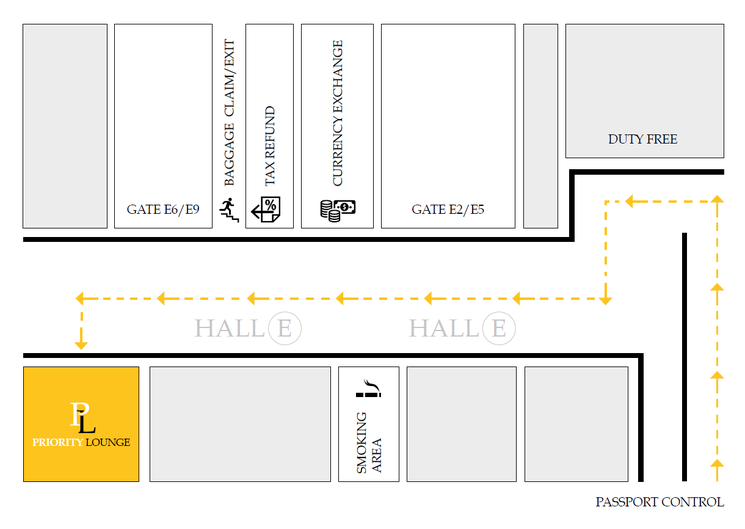 You will walk towards a big Duty-free Shop, please turn left (direction E-Hall) and follow the signposts to our Lounge. Passenger arriving from a connecting flight in Terminal 1, kindly take the Sky-Train transportation, direction Terminal 2 (D/E). You can easily reach any boarding gate from our location.